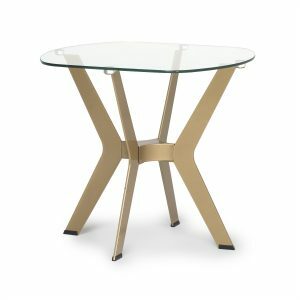 The mid-century inspired design of the ArchTech Writing Table by Studio Designs Home makes it a sleek and elegant addition to your home office. 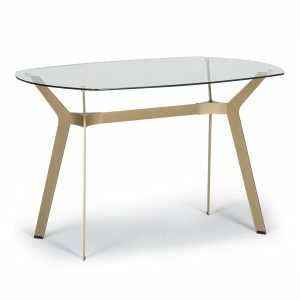 The boomerang-shaped legs have a unique gold tone, powder-coated finish. 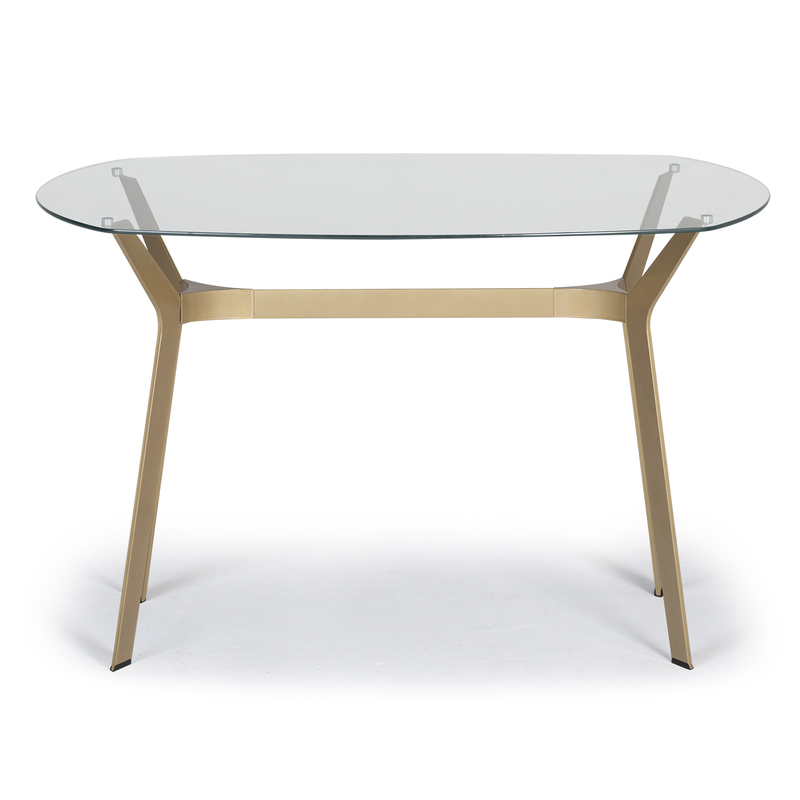 The thick, tempered glass top floats over the angled legs making it perfect for small spaces. 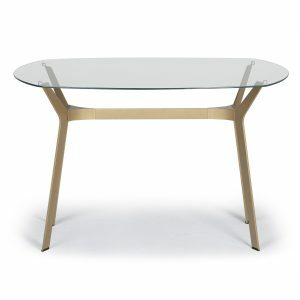 The modern, simple lines of this work table allow it to be used in almost any room in the house. 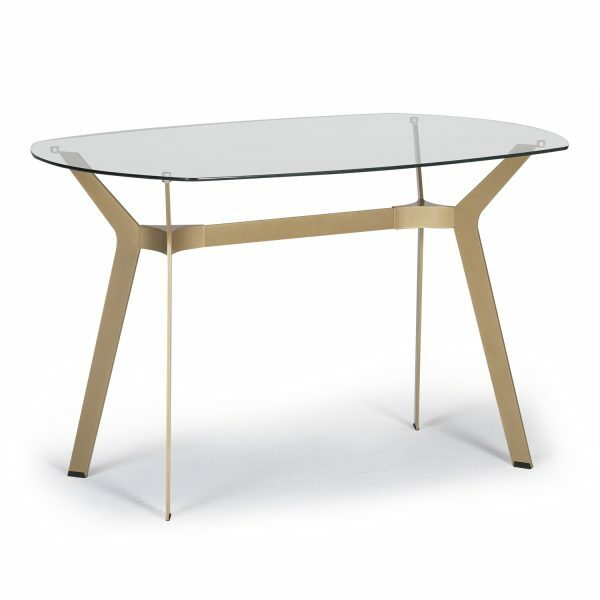 It seamlessly can be used in your entryway or bedroom, and of course, in your office.